Plaistow Man with a Van Hire. ​Hire Man with Van Plaistow Company. Real time quote and bookings. 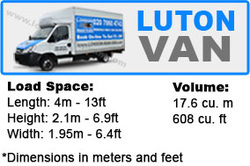 Choose trusted Plaistow​ man with a van hire service. ​We are recommended, registered and insured company. 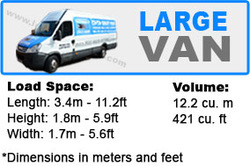 We offer 3 Van sizes for different size moves. CHECK PRICE AND BOOK YOUR MOVE! INSTANT MAN AND VAN QUOTE! IT TAKES ONLY 60 Seconds To See Quote On Our Website. WHEN YOU COMPLETE THE FORM PRICE WILL BE SHOWN ON THE WEBSITE. IF YOU ACCEPT OUR PRICE PLEASE COMPLETE BOOKING FORM. ONCE YOU COMPLETE BOOKING FORM YOU WILL GET EMAIL CONFIRMATION WITHIN 15-30 MINUTES. We hire Man with a Van for any transport needs as house and office moves, delivery, local or nationwide moves. As a Removals expert we cover all London areas as we do moves from London to any city in the UK. "Man Vans" stuff is here to suit your entire requirement. Plaistow Man with Van hire always gets the job done quickly, professionally, efficiently and with a smile on our faces! Qualified team is ready to assist you at all time. Men Vans are here to suit your entire requirement. Why Hire Man with a VAN in Plaistow? Clean vans equipped in: Sat-Nav, trolleys, blankets, straps to attach to the van, etc. Packaging Materials: boxes, bubble wrap, tapes, etc. Man and Van in Plaistow best Removal Company. We pride of our reliable and punctual Man and Van team in Plaistow prepared to work hard to achieve you requirements. Very competitive and the same rates apply in all London areas 7 days a week. We are Cheap Man and Van Plaistow team who will provide service above your expectation. will arrive on time. 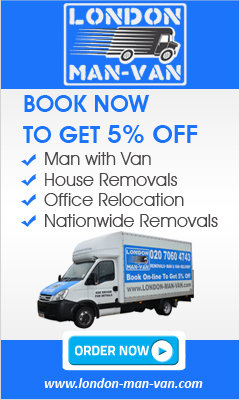 Our Man and Van do House Removals, Man with Van Plaistow at the most affordable prices in Plaistow. Man with Van in Plaistow most reliable removals and/or house removals company specializing in all aspects of man with a van removals. We do packaging for private and business customers. We at Man Vans specialize in domestic removals, house removals, house moving, flat removals, Student removals, office moves, commercial office removals, business relocation, warehouse move, packaging and unpacking within Plaistow and London. Our Man Van Service offers a reliable and efficient service, door to door, local Man and a Van, moves, professional approach to any house and business removals. To find out more about London removal services from Men & Vans simply contact us today and one of our representatives will be happy to provide you with a quote or answer any questions you may have. 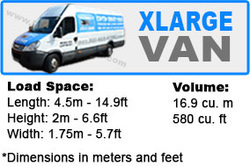 Check Our Vans Dimension Inside and choose best van size for your move. We don't charge VAT! No hidden charges! Guaranteed price for estimated time! We start to charge when the van arrives at the address. 1 Man means driver who help with loading and unloading ( minimum one man need to be selected ). All Vans are equipped with removal blankets, trolleys and Sat-Nav. Congestion, parking charges and road tolls not included in price. Congestion charge applies Monday – Friday from 7am to 6pm ( £11.5 ). For more information about congestion charge go to TFL (Transport For London) website After 2 hours min. charge you will be charged in half hour increments. If no lift on the property we charge for each floor extra £5 per person. Payment if cash on the day, then need to be paid to the driver before unloading your goods. For journeys over 10 miles will be an additional charge of £1.50 per mile plus hourly rate. Choose trusted man with a van hire service in London.